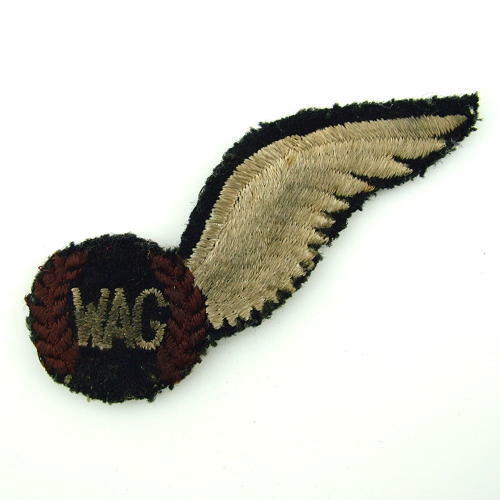 Scarce semi-padded 'WAG' brevet in off-white silky thread on black felt with a fine hessian backing. Large size wing, potentially of Canadian origin. Rather soiled and the backing/padding have separated. Nonetheless this is definitely one of the rarer brevets to find. Stock code U22744.